Liverpool manager Jurgen Klopp was beaming in his assessment of Virgil Van Dijk’s performance against Crystal Palace tonight after he kept Christian Benteke quiet. The Red’s secured a 2-0 victory at Selhurst Park tonight thanks to goals from James Milner and Sadio Mane, which continued their perfect start to the new Premier League season. After last weeks comfortable 4-0 win against West Ham at Anfield, tonight always looked set to be a tougher game for Klopp’s men given the attacking talent Crystal Palace have at their disposal and the fact that Selhurst Park is a notoriously difficult place to play. However, Liverpool managed to emerge as comfortable winners on the night and further emphasise their claim as genuine title contenders, building on their summer of recruitment in the transfer window. 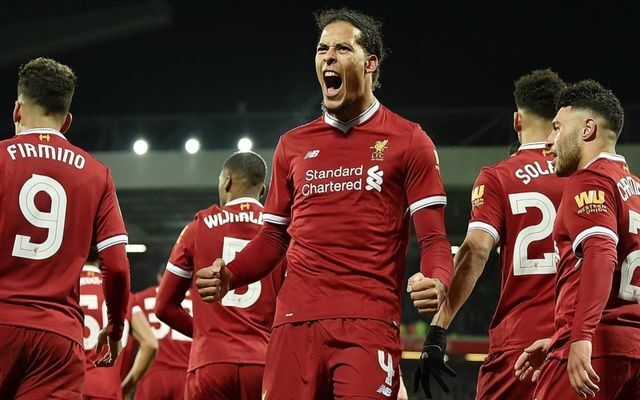 It was a signing from 2017 which stood out as one of the teams best performers on Monday though, in the form of £75 million man Virgil Van Dijk, who had Christian Benteke in his back pocket for much of the 90 minutes. Klopp: I don’t know a lot of centre-halves in the world who can deal with Christian Beneteke like that. High praise indeed from the German coach which highlights the impact Van Dijk has on this Liverpool team, who now look rock solid at the back in addition to being one of the most potent attacking forces in Europe.